Direct anterior hip replacement offers an exciting less invasive alternative to traditional techniques used to perform hip arthroplasty. This technique is the only way to access the hip joint that is truly muscle sparing, making it the least invasive of all techniques used to access the hip. The traditional posterior approach requires the surgeon to split the gluteus maximus, which is one of the largest muscles in the lower extremity, and to release several of the short rotators of the hip. The unique advantage of the direct anterior approach is the ability to access the hip joint, by using a truly intermuscular plane. The interval between the Sartorius and the Tensor Fascia Lata muscles is used to expose the hip capsule. Using a truly intermuscular interval, the surgeon does not need to “cut, split, or release” any of your muscles. The anterior approach allows the surgeon to minimize the trauma to the muscles while accessing the hip joint. This translates into decreased inflammation, less pain, quicker return to function, and much less restrictive precautions after surgery. The posterior approach requires more restrictive post-operative hip precautions. The anterior approach is inherently more stable – allowing patients much more liberal precautions and quicker return to normal daily activities. With the anterior approach, the patient may reach over to tie their shoes, squat to low levels, sit on standard toilet seats, and there is no need for pillows between the legs or restrictive sleeping positions. The anterior approach is performed with the patient flat on their back and an x-ray machine is used in surgery to verify the position of the implants during surgery. A special table is used to position and manipulate the patient’s legs in the operation. This allows the surgeon to judge the position of the components and to ensure that leg lengths and hip offset are recreated as precisely as possible. Standard posterior hip surgery is performed with the patient in the lateral (sideways) position. With less muscle dissection in surgery, the anterior approach allows the patient the advantage of less pain, quicker return to normal gait, faster return to physical work, simpler restrictions after surgery. The anterior approach allows for many advantages to the patient. However, not all patients are ideal candidates for this procedure. It is important that the patient and surgeon discuss unique patient risk factors. The anterior approach also has several unique risks associated with the procedure. There is a small sensory nerve (lateral femoral cutaneous nerve), on the outside of the thigh. This nerve may become irritated or stretched in the surgery resulting in a small numb spot on the side of the thigh that is usually temporary. The femoral stem is also slightly more difficult to place in the direct anterior hip arthroplasty. Special anatomical stems and instruments have been developed to help surgeons perform anterior hip replacement. Despite these advancements, there is a slightly higher incidence of femoral fracture and stem loosening in the anterior approach compared to the posterior approach. Therefore, patients with osteoporosis may benefit from the utilization of bone cement to anchor the stem in the femur. Although anterior hip arthroplasty is an exciting alternative to traditional exposures to the hip, hip replacement surgery is a very reliable and reproducible operation for relieving arthritis and other types of intractable hip pain. Modern surgical techniques and highly advanced surgical pathways have offered many substantial improvements in the recovery time and expected outcomes after hip surgery. Surgical procedures are commonly performed under regional anesthesia, like a spinal. Local anesthesia is infiltrated in the soft tissues around the hip and a multi-modal pain management strategy allows for early ambulation and very limited hospital stays. Most patients can expect to spend 24 hours or less in the hospital after a successful surgical procedure. Physical therapists evaluate patients immediately after surgery with immediate weight bearing and early ambulation. Most patients can walk several hundred feet with a walker or cane immediately after surgery. Modern surgical techniques have significantly reduced the requirement for blood transfusions after hip replacement surgery. After discharge from the hospital, most patients are able to ambulate fairly independently with use from an assistive device (cane or walker). Outpatient physical therapy (out of the house) is prescribed for 2-3 visits per week for 4-8 weeks to regain strength, balance, and endurance. Most patients can expect to return for follow up at 3-4 weeks from surgery with limited or no assistance from a walker or cane. It is reasonable to expect to return to office work in 2-4 weeks, and physical labor in 8-12 weeks. Recreational sports such as golf, tennis, or swimming can be enjoyed in 6-8 weeks after hip replacement surgery. An important predictor of post operative recovery is pre-operative physical fitness and conditioning. Every patient has a unique recovery trajectory and must be managed on a personal basis with individual recovery goals and milestones. Recovering from total knee replacement surgery can be a painful, grueling experience. The good news is many patients experience a new lease on life after knee replacement that allows them to enjoy golf, running, dancing, and many other activities that were painful to experience before the surgery. The recovery period can be several weeks long and of course, every patient’s situation is unique. Thankfully, there are a few easy ways to make your post-total knee replacement recovery a bit easier to manage around the house. In the days after your surgery, you will likely be back home and trying to have life be as normal as possible. With some simple changes in your home, you can make your recovery period much safer and more enjoyable. Of course, we hope you don’t fall at any time, but patients with a new knee are at a higher risk of falling. It’s wise to protect against a fall by installing an extra hand rail or two around the house and wearing shoes or socks with good traction. You may also want to install a few brighter light bulbs in dimly lit areas on your property to guide your footing. Do you really need that extra table or chair? Probably not. Having extra space is priceless when it comes to post-knee replacement surgery. Less clutter means less items that can block your path or cause you to fall. Try to create wider-than-normal walkways through your house so you have room to maneuver. This may also be a good time to secure a cleaning crew for the first six weeks following surgery. Your doctor will want you to avoid any unnecessary movements after surgery until they give you the go-ahead. The reality is you will have a lot of down time after your knee replacement surgery. You will want a comfortable ergonomic chair to support your back and buttocks for the first few weeks. A recliner may be your best option because it can lean back while elevating your legs. What else will you need to be as comfortable as possible while you recover? Here are a few items you may want to have within arm’s reach: a few power chargers for your laptop, tablet, or phone are important, as are tissues, a remote, books, pain medications, extra bottles of water, and a few health snacks. Total knee replacement recovery is different for every patient, which is why we recommend you having assistance from friends or family members to help you move around your house. Our team at Orthopedic Associates wants to help you recover well. We created a FREE resource for you entitled The Step-by-Step Guide to Recovering from Knee Replacement Surgery and What to Expect Following Surgery”. If you’re considering knee replacement surgery, your first choice should be our board-certified physicians at Orthopedic Associates. Schedule your next appointment today. The lateral component - The outside region of the knee, which is where the lateral cruciate ligament, or LCL as it’s often referred to, is located. The medial component - The inside region of the knee where the medial cruciate ligament (MCL) is located. The patellofemoral component - Located at the front of the knee, including the patella and closely connected to the femur, hence the name ‘patellofemoral’. While total knee replacement, or full knee replacement as it’s sometimes called, is highly successful, it’s important to note not all knee osteoarthritis patients suffer from arthritic conditions in all regions of their knee. Some patients may be better off with a partial knee replacement to preserve the existing biological hardware inside the knee. What is the extent of your knee osteoarthritic pain? If you’re experiencing significant differences in pain between one compartment of your knee instead of all three evenly, it may be a sign you’re better off considering partial knee replacement. For example, it is far more common for the medial compartment to be inhibited by osteoarthritis compared to the lateral compartment. What health or lifestyle activities would you like to pursue? If you’re a lifelong golfer suffering from osteoarthritis, it may make sense to choose total knee replacement. Patients of all ages share they feel they have a “new lease on life” after a total knee replacement. Other factors include age, current health condition, current medications, and history of invasive surgeries. Your doctor will also want to discuss with you any potential health complications, such as high blood pressure, familial history of heart risks, etc. These are essential questions to answer when considering knee replacement surgery. Once you and your doctor decide on the appropriate type of knee replacement, it often determines what type of hardware may be considered. Your desired activity level and lifestyle will also influence what types of knee implants are appropriate. The American Association for Orthopaedic Surgeons has an excellent list of available knee implants to consider. You may want to review this information with your orthopedic specialist. Can I Have a Total Knee Replacement If I Already Had a Partial Knee Replacement on the Same Knee? Total knee replacement may be a viable option if you previously underwent partial knee replacement on the same knee. If there is a good possibility you will need total knee replacement in the future, you may be better off with a total knee replacement instead of a partial knee replacement. Each patient’s situation is unique, which is why we recommend consulting with your doctor to find what’s right for you. We created a free resource to help you know how to navigate your post-op recovery from knee replacement surgery. Download your free copy of “The Step-by-Step Guide to Recovering from Knee Replacement Surgery and What to Expect Following Surgery”. If you’re suffering from knee osteoarthritis, your best decision is to connect with our staff of board-certified physicians at Orthopedic Associates. Schedule your next appointment here. If you’re facing knee replacement surgery, you probably have this question on your mind: how long until I’m back to normal after knee replacement surgery? The impact of knee replacement surgery is different for every patient. Your current health condition, medical history, family background, diet, age, and even stress level can play a significant role in your recovery. Initial Recovery: Your orthopedic surgeon will probably want you to be taking a few steps with your new knee within hours of surgery. This encourages blood flow to help prevent blood clots and mobilize any extra fluid received during surgery. You will probably be in the hospital for one or two days following knee replacement surgery. Pain is highly variable but is frequently controlled with a combination of medicines. Weeks 1-2: As you transition home, you may be feeling like your knee feels strong and reliable again. This is where you need to trust your doctor’s advice: take it slowly. Your doctor will probably prescribe physical therapy to increase mobility. Follow their direction and give your body enough time to heal. Weeks 3-6: Exercise and increasing activities are essential to a successful recovery. Physical therapy may be painful, but it will help your body regain mobility and strength over time. This means your new knee can have the greatest opportunity to improve your lifestyle. Most patients are able to resume moderate levels of activity within the first three months following total knee replacement surgery. More strenuous exercises, including higher impact sports, jumping, and heavy lifting are strongly discouraged for several months, even up to a year following surgery. As with all exercises and physical activity, we recommend consulting with your doctor before beginning any exercise following surgery. Are you curious about the post-total knee replacement recovery period? Download our FREE resource The Step-by-Step Guide to Recovering from Knee Replacement Surgery and What to Expect Following Surgery”. This valuable gift will give you a clear perspective on the weeks and months after surgery and how you can best prepare in advance. If you’re in need of knee replacement surgery, our team of board-certified physicians are some of St. Louis’ best at knee arthroplasty. We encourage you to ask questions, share your concerns, and give our team a chance to serve you. Connect with Orthopedic Associates today. Is knee replacement surgery the only option for alleviating arthritis pain in your knee? Thankfully, the answer is no. There are a variety of non-surgical treatment options to treat knee osteoarthritis before choosing total knee replacement. The key is understanding the nature and extent of your discomfort and pain, namely what is the primary contributor to your potential need for knee replacement. Knee osteoarthritis, or simply arthritis as it’s often referred to, is one of the leading causes of knee replacement. The cartilage lining between the bones is thinner than what’s recommended or missing entirely in certain cases. This causes additional pressure or friction on the leg bones. X-rays are often taken to confirm if the joint space is narrowed or irregular in shape. Total knee replacement may also be considered due to trauma to the knee region or increased stress, such as overuse. Inactive lifestyles can lead to obesity, which places unnecessary strain on the knee joint. This can cause significant pain over time. If the excess weight is not properly managed, it can contribute to needing total knee replacement in the future. Changes in lifestyle are often beneficial for alleviating knee osteoarthritis instead of undergoing knee replacement surgery. With the continued rise in obesity among U.S. adults, many patients often see a decrease in pain after losing 20 lb. or more of excess body weight. As with all lifestyle changes, we recommend consulting with your doctor before beginning any significant lifestyle changes, including losing weight or changing your diet. Nonsteroidal anti-inflammatory drugs, such as ibuprofen, aspirin, and naproxen, are known to alleviate much of the pain and discomfort associated with knee osteoarthritis. However, there are several well-known side effects of NSAIDs to consider before taking them to relieve your knee pain. Always consult with your doctor before beginning any pain management regimen through prescription medication. The good news is the right type of NSAIDs can help you enjoy the life you want as part of a safe and proven treatment plan. When Should You Replace Your Knee? There are many factors to consider when it comes to replacing your knee. Knee replacement patients typically experience at least six weeks of ‘down time’ that requires little physical exertion. This means you may be more immobile than you may like. Many patients elect to have knee replacement surgery between Christmas and New Year’s since the weather tends to be colder and the schedule is often less hectic. Your current health condition is another factor to consider. If you have any potential health complications, you will want to discuss all possible scenarios with your doctor before scheduling surgery. Your home living arrangements, work responsibilities, and other lifestyle commitments can also influence when you choose to undergo knee replacement surgery. Our Orthopedic Associates team developed a free resource to help you understand what to expect following knee replacement surgery. Get your free copy of “The Step-by-Step Guide to Recovering from Knee Replacement Surgery and What to Expect Following Surgery”. If you’re considering knee replacement surgery, you deserve to understand all your options. We recommend consulting with a knee specialist at Orthopedic Associates. Schedule your next appointment here. The aches and discomfort of arthritis can disrupt anyone’s everyday routine. A simple walk through the store is no longer relaxing as ol’ “Arthur” lets you know he’s still around. Pain medication doesn’t seem to do the trick. Physical therapy helped, but your arthritis pain still flares up at times. Would a total joint replacement relieve your arthritis pain? This is a frequent question many of our patients ask who are suffering from arthritis. Arthritis is more common than ever with people living longer. The American Association of Hip and Knee Surgeons estimates 500,000 hip replacements and 3,000,000 knee replacements will need to be performed each year by the year 2030. (American Association of Hip and Knee Surgeons) But the question remains: do you need total joint replacement to be free of your arthritis pain? What non-invasive treatment options may still be explored? Undergoing surgery can present its own set of potential risks and complications, both during and after the surgery. We would rather consider all appropriate treatment options before entertaining surgery. What is quality of the patient’s overall health? A patient’s age, current health, any other medical complications or conditions, and medical history are crucial factors in determining whether surgery is a wise decision. How much time is the patient expected to miss from work and other responsibilities due to recovering from surgery? The typical total joint replacement patient can expect to be back to work within six to eight weeks. Of course, the timeline varies for each patient and their occupation. Understand that total joint replacement is no guarantee you will be free from all discomfort. At the same time, many patients who meet the criteria do experience tremendous relief from much, if not all, of their arthritic pain. If you’re considering total joint replacement to alleviate arthritis, the first step is starting a conversation with our Orthopedic Associates team. Schedule an appointment with Orthopedic Associates. For many people, there is a negative connotation when it comes to surgery. In addition to that, we associate orthopedic surgery with the elderly more often than not. Despite these ideas, orthopedic surgery can be very helpful in managing or even eliminating pain. Read on for just a few ways that surgery can help. Starting with the most obvious benefit, if you receive, for example, hip surgery or knee surgery, those joints will work better together, causing less pain. Currently, 1.5 billion people around the world say they deal with chronic pain. In addition, 31 million people in the United States suffer from low-back pain. These can be eliminated with the help of surgery. It is important to consult with a doctor to ensure that surgery is the only option. While surgery can help eliminate serious conditions, you shouldn't do it if it's not necessary. Sometimes people suffer from health issues that surgery can't entirely fix. However, you can often ease pain with surgery. About 52.5 million Americans have been told they have some kind of arthritis, rheumatoid arthritis, gout, lupus, or fibromyalgia. Surgery can help these conditions so that they don't take over your life. The same can be said for hand and wrist conditions. The benefit is having less chronic pain, and the residual pain after surgery will be much more easily managed! General orthopedics and/or surgery can significantly improve your standard of living. Chronic pain or certain conditions can render you unable to participate in certain activities, but orthopedics can get you back into whatever you'd like to do. When you improve your standard of living, you can be more engaged and happy. 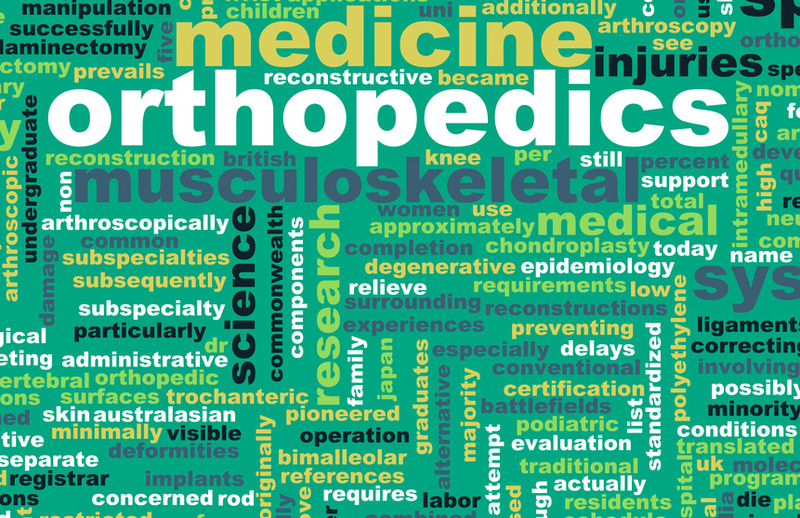 What do you think about orthopedic surgery? Do you have an experience you'd like to share? Let us know your thoughts, comments, and concerns! Your specialist may now and then prescribe an epidural as this has less shot of causing complexities in individuals with a fundamental well-being condition.